Suppose the only owners of stock are corporations. Recall that corporations get at least a 70 percent exemption from taxation on the dividend income they receive, but they do not get such an exemption on capital gains. If the corporation's income and capital gains tax rates are both 35 percent, what does this model predict the ex-dividend share price will be? What does this problem tell you about real-world tax considerations and the dividend policy of the firm? Dividend Payouts Use the annual financial statements for General Mills (GIS), Boston Beer (SAM), and US Steel (X) to find the dividend payout ratio for each company for the last three years. Why would these companies pay out a different percentage of income as dividends? Is there anything unusual about the dividends paid by US Steel? How is this possible? 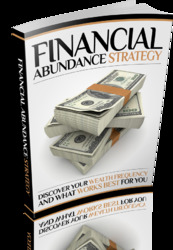 18.1 Dividend Reinvestment Plans As we mentioned in the chapter, dividend reinvestment plans (DRIPs) permit shareholders to automatically reinvest cash dividends in the company. 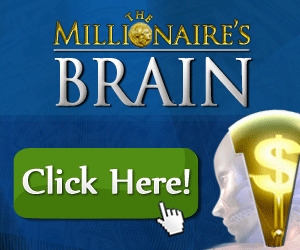 To find out more about DRIPs go to www.fool.com, follow the "Fool's School" link and then the "DRIP Investing" link. What are the advantages Motley Fool lists for DRIPs? What are the different types of DRIPs? What is a Direct Purchase Plan? How does a Direct Purchase Plan differ from a DRIP? 18.2 Dividends Go to www.companyboardroom.com and scroll down until you see the section titled Today's Highlighted Dividends and follow the "Full List" link. How many companies went "ex" on this day? What is the largest declared dividend? For the stocks going "ex" today, what is the longest time until the payable date? 18.3 Stock Splits Go to www.companyboardroom.com and scroll down until you see the section titled Today's Highlighted Splits and follow the "Full List" link. How many stock splits are listed? How many are reverse splits? What is the largest split and the largest reverse split in terms of shares? Pick a company and follow the link. What type of information do you find? 18.4 Dividend Yields Which stock has the highest dividend yield? To answer this (and more), go to www.amex.com and follow the "Screening" link. Use the minimum value box for "Annual Dividend Yield" to find out how many stocks have a dividend yield above 3 percent. Above 5 percent? 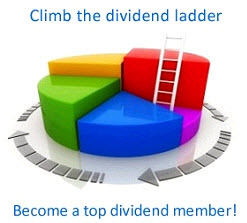 Now use the "Annual Dividend Amount" to find out how many stocks have an annual dividend above $2. Above $4? 18.5 Stock Splits How many times has Procter & Gamble stock split? Go to the web page at www.pg.com, and you will find a pull-down menu listed under "Investing." Follow the "Stock History" link, then the "Stock Split History." When did Procter & Gamble stock first split? What was the split? When was the most recent stock split? Does boston beer pay dividends? Why would companies pay out different percentage of incomes on dividends? Why haven't Boston Beer paid a divident?